In contemporary composition studies, researchers are beginning to place emphasis on the effects workspaces have on writing processes. Their studies indicate that the places where individuals choose to write can have a significant impact, both on how they write and on how they view their writing. Studying the places where people write can lead to a deeper understanding of the physical labor of writing and the development of successful writing rituals. My paper, which is an outgrowth of a research study and website I created for my spring 2017 Advanced Composition class (https://theplaceswewrite.wordpress.com/), examines the writing spaces of six Shepherd University students, analyzes how they control and structure these writing spaces, and demonstrates the importance of workspaces in building successful writing habits. Ultimately, I argue that an understanding of the physical labor of writing, as shown in the ways the study participants controlled and navigated their writing spaces, is crucial for the development of successful student writers. Writing is unique in terms of the demand and strain it places on its practitioners. While it is not as obviously tactile as professions such as engineering or waitressing, it still requires very real, and often very difficult, work to transfer ideas from abstract concepts to words on a page. Just as order books and blueprints have become ubiquitous with waiting and engineering, the work of writing is defined by the tools used to complete it and embodied in the areas in which it takes place. These areas are beginning to receive significant attention in contemporary composition studies, particularly for what they reveal about how the use of physical space contributes to the formation of successful writing habits. Research studies have discovered that “composing habits grounded in the materiality of places can build persistence for learning” (Pigg 250). Studying the places where writers write can lead to fascinating insights into the way writing habits are constructed, and why they succeed or fail. These writing spaces are the subject of a research study I conducted at Shepherd University in the spring of 2017. As a lifelong writer myself, I was interested in discovering how the use of space contributed to the writing experiences of my peers. 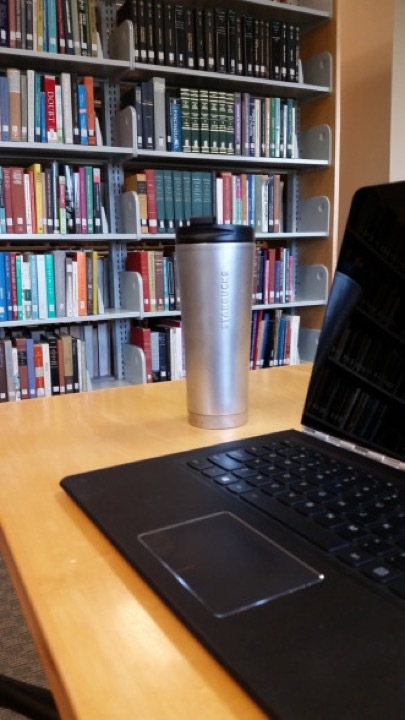 In a small-scale but intensive study, I analyzed the writing spaces of six of my classmates, examining how they navigated and manipulated their settings in order to form productive writing environments and rituals. When contacting potential study participants, I tried to gather responses from as wide a demographic as was possible within the time constraints of the study. However, of the six students who agreed to participate, four were English majors, while the remaining two were studying English Education and Nursing. Grade levels were much more varied, with two sophomores, two juniors, one freshman, and one senior. All six wrote regularly, with some writing as much as seven or more hours per week. All indicated that they wrote both for schoolwork and their own pleasure. I received a wide variety of photographs, including images of libraries, laptops, cats, and chicken coops. As I evaluated these pictures and the descriptions accompanying them, it became clear that space was not only crucially important to the participants’ writing processes, it was also the backbone on which they built many productive habits. In order to discover what made these practices successful, I examined the ways the study participants controlled and navigated their workspaces, using Mihaly Csikzentmihalyi’s psychology of optimal experience and studies on writing rituals to further analyze my findings. This research indicated that the control and structure of writing spaces encourage productive and enjoyable writing sessions, which lead to increased confidence and writing mastery. While Kylie and Chace choose to write in areas that inspire them, another student describes a space that pushes her towards completing projects she does not necessarily enjoy. Gabrielle writes that the library study rooms “always help [her] force [her] brain into that studying mood,” indicating that she is not looking for inspiration. She simply wants an area with minimal distractions. Like Kylie and Chace, however, Gabrielle credits the physical affordances of her work area with that space’s effectiveness. 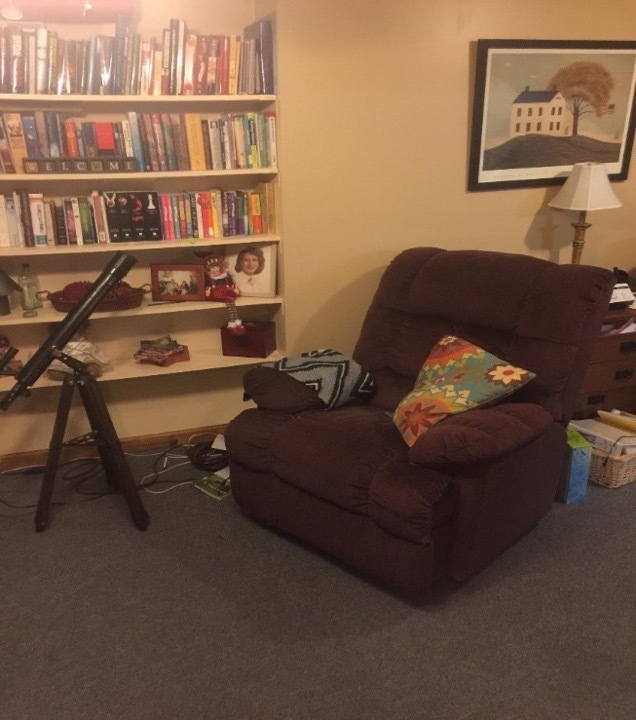 The lighting, the quiet, and even the type of chairs are all examples she gives for how the rooms enable her to access a more “academic” mindset. These three workspaces prod the students into getting work done, but they also serve a more complex purpose by becoming rooted in subjective feelings and emotions. For example, when Kylie invests complicated feelings such as creativity, confidence, and ambition into bookcases, her laptop, and a coffee thermos, she gives herself the ability to access those emotions again by returning to the same space with the same tools. The bookcase becomes a mental marker, embodying such difficult-to-articulate concepts as creativity and the desire to write. In other words, the physical affordances themselves are not as important as the meaning the students give them through repeated use. These and other reflections demonstrate the careful, if not necessarily conscious, thought that writers engage in when constructing their workspaces. By creating places freighted with personal meaning, students are not only able to avoid frustration, but also build confidence in their own writing skills. Like Kylie, they can find objects that “feed into their energy” and encourage them to see writing not as a chore, but as an opportunity to improve their craft and express valuable ideas. It is almost impossible for one space to embody all the habits, emotions, and thought patterns needed to complete a project successfully. In their reflections, participants note that switching from one workspace to another can help alleviate problems that spring up during the composing process, such as frustration and writer’s block. Three students mention movement specifically in their reflections, and most describe at least two different writing spaces. When Linnea is blocked and has no time to take a break from a project, she moves her work to her living room or front yard. She does not describe why this move is helpful, only noting that if she does not move her workstation, “I get frustrated and antsy, and then productivity is hopeless.” Chace goes into more detail with his motivation for movement and changing places while writing. He prefers to step away from writing entirely when he runs into blocks. 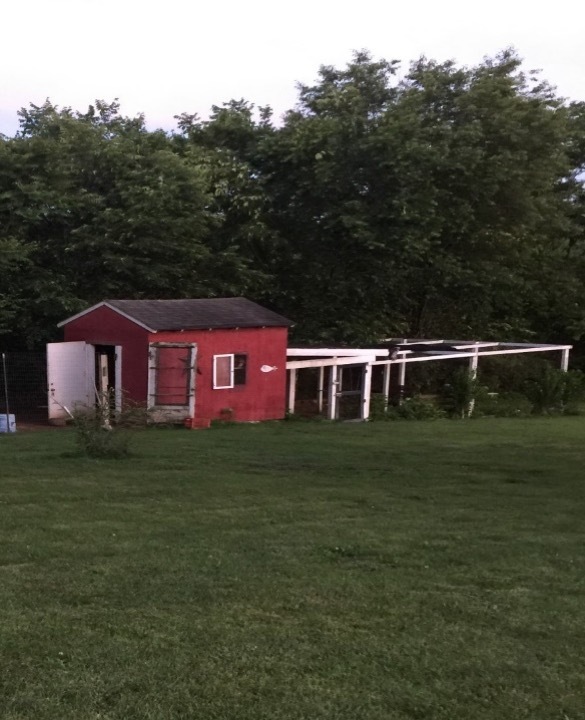 Instead, he walks outside to feed and clean up after his chickens, believing “it’s beneficial to keep the brain active while doing minor activities like these.” Chace’s bookcase and reclining chair may embody his physical act of writing, but it is his chicken coop that encompasses the feelings and practices that aid in brainstorming and deep thinking. Movement from one to the other allows him to embody this shift between two linked but very different aspects of his writing process. Linnea’s actions can be read similarly; she leaves her desk when words dry up and moves to a new location that allows her to think through the block and continue writing. Movement and change of space also mirror change of routine or process in other reflections. Gabrielle writes academic papers in the library, but she works on creative writing on her bed, and Alexandra describes “pac[ing] around the house” when a project particularly excites her. Rather than being static areas, writing spaces are fluid, constantly shifting to suit an array of complex needs and feelings that may only be fully understandable to the writers themselves. Creating supportive writing environments becomes crucial when Mihalyi Csikzentmihalyi’s findings on flow are considered. “Flow” was one of the most intriguing terms my study participants used to describe the feelings brought on by their use of space. The concept of flow, also called optimal experience, is defined as a state of deep concentration and absorption when “the information that keeps coming into awareness is congruent with goals” (Csikzentmihalyi 39). Csikzentmihalyi dubs it “flow” because of how frequently his interviewees used this word to describe the experience (40). Flow can only occur when an individual sets aside anxiety and focuses completely on the task at hand, something my study participants are able to do by embodying positive emotions and personal goals within their workspaces. Only when this focus is achieved can writers look past fear and anxiety and concentrate on the craft needed to improve their work. As Csikzentmihalyi observes, the importance of flow lies in its ability to “buil[d] the self-confidence that allows us to develop skills” (42). By managing space in a way that allows them to enter a flow experience, students are doing more than making writing enjoyable. They are also, by repeated practice, gaining writing mastery. Flow also encourages the development of rituals, which have great potential to help writers. Rituals are “actions regularly or habitually repeated” (“ritual, adj., and n.,” def. 2a) that “selectively and temporarily shut out the daily world” (Wyche 32). They allow individuals to ignore distractions and focus on a task by easing them into an attitude of heightened concentration. Essentially, rituals are a means of consistently creating a flow experience. They depend on consistency—a ritual works because it has been used multiple times with similar results—and on consistency of place. One study found that “successful rituals . . . took place in defined spaces” (O’Shaughnessy et. al 19). I would push this conclusion further and contend that space not only supports ritual, it is ritual. My study showed that the physical objects that fill workspaces become weighted with personal significance, encouraging the participants to return to them again and again. Students engage in ritual even when they habitually repurpose their writing settings, as with Alexandra who claims she has no set rituals but still writes regularly at her desk, which she periodically redecorates in order to “feel energized” when she is “stuck in a rut.” The fluidity of her work area becomes ritual as she uses it again and again to reinvigorate her writing process. The workspaces of Alexandra and the other students become concrete, embodied expressions of their writing habits, allowing them to gain control of their composition process, consistently enter a flow state, and improve their writing skills. While I only surveyed six students, the patterns they brought to my attention have important implications for a wider audience. A 2008 Pew study found that eighty-six percent of middle and high school aged teens felt that “good writing is important to success in life,” with fifty-six percent “describ[ing] it as essential” (Lenhart et al. iii). American students are keenly aware of the importance of writing to their lives and future careers, and it is important that they learn not only the mechanics of good writing, but also how to build successful writing habits. Workspaces are often ignored when the formation of these habits are considered, and while choosing a desk or a room to work in may not seem to be directly related to successful writing, the ability to create centered, embodied writing spaces is one of the strongest indicators of student success. While the information I gathered during my study was incredibly varied, three important tips about the formation of productive workspaces can be gleaned from the participants’ reflections. Choose spaces carefully: An area that evokes positive emotions and goals is critical for an effective workspace, so it is important for the writer to consider the environments where he or she works best. For example, a busy restaurant will probably not work for someone with an aversion to noise. It is also important to have more than one primary writing space, since schedules rarely allow for writing consistently in one area. Move around: Movement often embodies a shift in writing process, and a change of place can help bring new energy and perspectives to a project. Most of the reflections I read mentioned movement as part of writing routines. Participants described walking, doing chores, or changing writing places, but jogging, swimming, or any other kind of physical activity could also be helpful. Decorate: Everyday objects like mugs, posters and lamps are the perfect depositories for ritualistic meaning, since many are already associated with a variety of ideas and emotions. 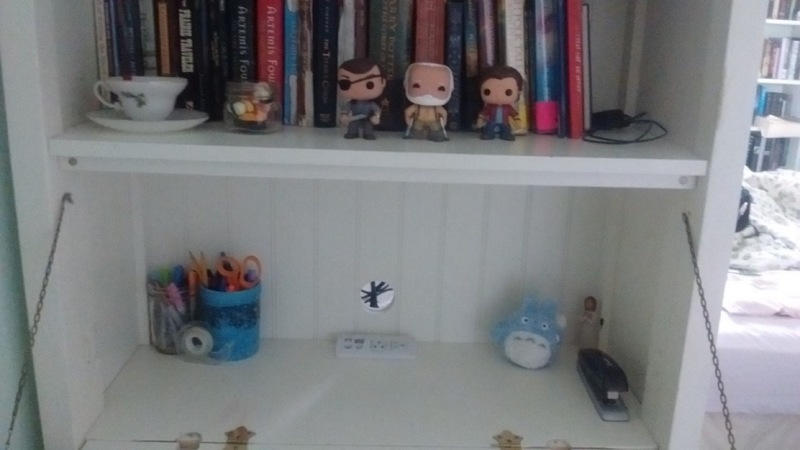 Some writers may prefer a more bare-bones area, but decorating a workspace with comforting or inspiring objects generally helps develop writing rituals. If students and educators take these tips into consideration, they should be well equipped to start thinking about and designing their own writing spaces. The more aware we as writers are of our physical environments’ ability to influence our experiences, the more we can take control of and adapt to those environments, creating rituals that transform writing from a chore into a personally meaningful learning experience. Csikszentmihalyi, Mihaly. Flow: The Psychology of Optimal Experience. HarperCollins, 1990. O’Shaughnessy, Kathleen, et al. “Who, What, When and Where of Writing Rituals.” The National Writing Project Quarterly, vol. 24, no. 4, 2002, pp. 18+. Pigg, Stacey. “Emplacing Mobile Composing Habits: A Study of Academic Writing in Networked Social Spaces.” College Composition and Communication, vol. 66, no. 2, 2014, pp. 250-275. “ritual, adj. and n.” OED Online, Oxford University Press, June 2017, www.oed.com/view/Entry/166369. Accessed 12 Sept. 2017. Wyche, Susan. “Time, Tools, and Talismans.” The Subject is Writing: Essays by Teachers and Students, edited by Wendy Bishop and James Strickland, Boynton/Cook, 2006, pp. 31-41.